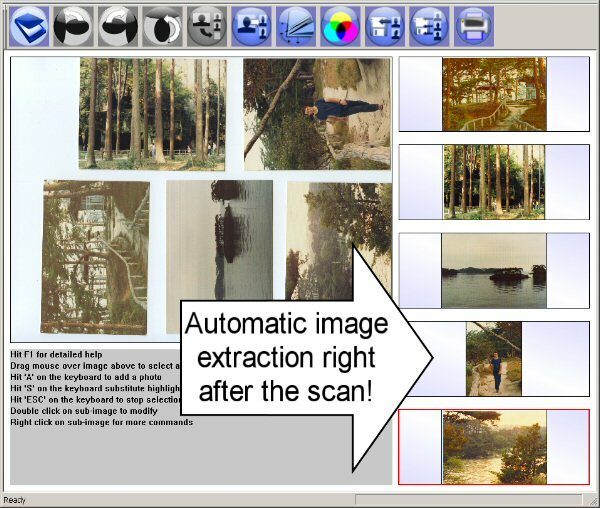 How to automatically extract images from scans of multiple photographs. 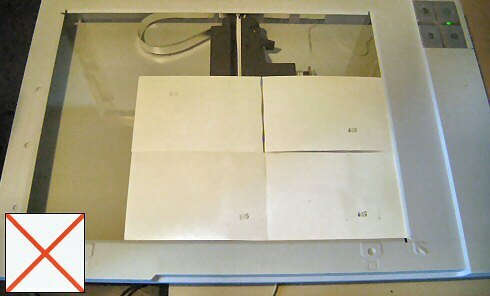 You know the situation, you have a ton of photos to scan but it takes you an age to scan, crop, rotate, and adjust each one. What we need is a program which does this at least semi-automatically, giving us a hand in the tedious part of the job. Now wouldn't it be good if double clicking on one of the photos images in the right-hand column we could further adjust its size, angle, brightness etc? Well an application to do this exists, RansenScan. Click here to find out more about RansenScan. But you do have to follow some rules to get the auto-extraction to work. These are pretty simple and illustrated in the two images below. 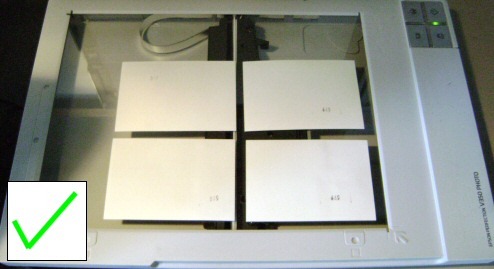 The first one is a good layout, space between photos and no photos touch the edge of the scanner. The second one is a bad layout (for auto extraction) because the photos touch each other. 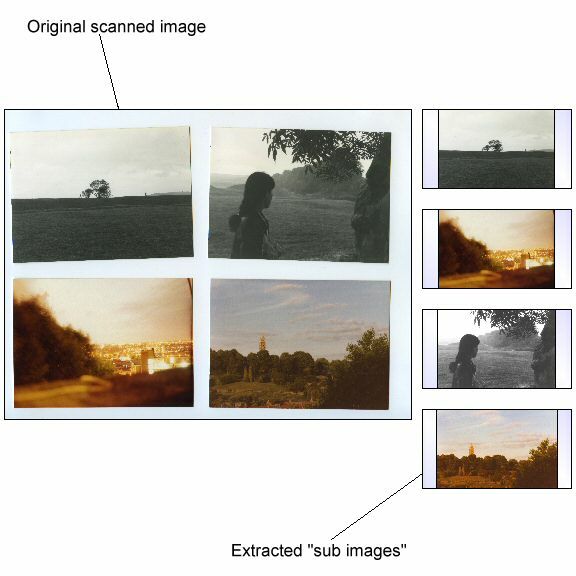 However, even in the case where, maybe for time or space reasons you have to scan several large photos in a single go, leaving no space between them, this programs lets you extract the photos out of the main scan manually, but quickly and simply. The demo includes a tutorial on how to do this. I have hundreds of old family photographs, some dating as far back as the late 1800s. I needed to transfer these old photos to digital images for sharing with members of the family and for displaying them in video projects. RansenScan is ideal for this work.